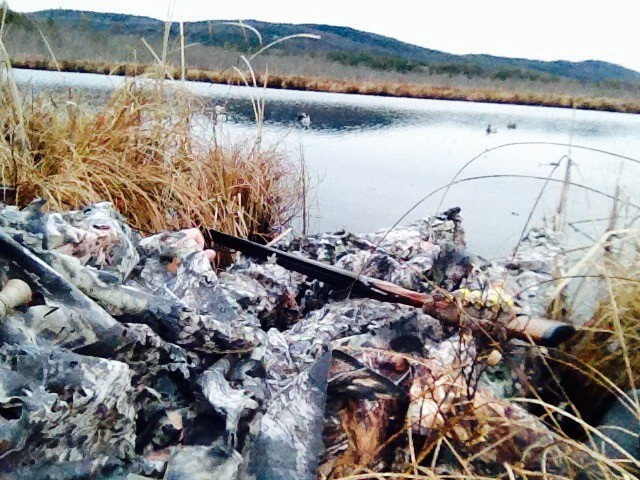 Camo cloth for duck hunting. Worked well– but not so my aim. The boat is very solid for shooting from the seated position. Had a dozen decoys in the hulls. Very comfy. Just wish my aim was as high quality as the boat! And thanks to Michael from New York Fishing Kayaks! Nice job on adding the camo to the W500. Hopefully you’ll get dialed in and shot some nice ducks for dinner. I love these boats for duck hunting! The camo net is my solution to camo as well. Looks like a really nice spot you have! Season is over but next year will be here before you know it!